New years are a perfect opportunity to set new goals for positive change in your life. Whether you call them “new year’s resolutions” or not, identifying what you want to achieve in a forthcoming period can help with productivity and motivation. We asked members of the Pink Pangea community what their writing goals were for 2017. Now, one month in, we hope that everyone is making steps towards achieving these goals. And in the spirit of keeping each other accountable, we are sharing some of these inspiring goals. I have three major writing goals: First, I am collaborating on a book with a guy, and his agent is currently shopping it. Once picked up, we aim to finish it in six months. This will be my first book! Second, I’m launching my writing/consulting business for cause-focused organizations, so it will be a challenge to write consistently for my own business (e.g., blogs) while managing clients. Third, I would like to start guest posting to promote my business, and also to write more articles for magazines and things like that. I already write some for a Christian event planner magazine, but would like to expand into topics more relevant to my business, and also travel writing for fun. —Kristi Porter. This year I hope to publish at least three photojournalistic projects and finally find a mentor. I have realized that I keep looking for honest feedback and guidance. Sometimes asking friends just doesn’t do it. I realize I need clear critiques from people who I see as brilliant and wise in their fields. —Di Delgado Pineda. I hope to become more comfortable with expressing myself in writing, whether I start a blog or participate in writing exercises. I would like to connect more with other writers. 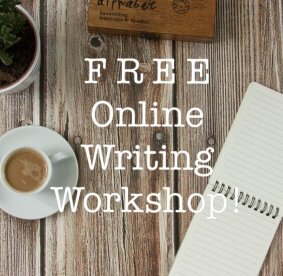 I hope I can participate in more writing workshops. I basically want to honor my gift as a writer and storyteller and carry it with me wherever I go. —Whitney Zahar. I am a freelance travel writer and photographer in Saratoga New York. It’s my personal goal to work with CVB’s (Convention and Visitor Bureaus) this year and arrange media trips for myself. I will be writing for publications (Hospitality21, MilesGeek, Travel Thru History, BabyBoomster, Saratoga Mama, Saratoga Today, Farming Magazine, Living History, Vacation Rental Travels Magazine) to name a few. I have a blog, although it is under construction right now. I will also pitch a few stories to in-flight magazines. I love to travel and experience new things and most times I’m allowed to bring a friend with me. –Theresa Lauria. This year, I’m going to write a book about the year I spent as an English teacher and Au pair in Ibiza. That’s the goal, at least. I’d also like to write at least one personal travel essay or living abroad essay per month. I’m traveling much less this coming year so I hope this will make it easier for me to prioritize writing and finally dissect what all of my experiences have meant for me. —Allison Yates. My writing goals for 2017 are to write at least one travel story a month, which I will put on my blog, or, if I feel like it’s a particularly good story, send it to a publication or a travel website to see if they would like to publish it! I also intend to get a blog up and running and post something on there at least once a month as well . I want to maintain a regular writing schedule to keep practicing and improving, and to share my stories. —Anna Lindeman. In April 2017, I will celebrate my 2nd blogaversary! With two years under my belt, I’ve learned so much about travel writing, running an online business and working with brands. I have also learned about the importance of building a portfolio and establishing myself as a resourceful leader in my niche. My travel writing goal in 2017 is to write for a well-known publication or media outlet. If I can get my first byline this year, I’ll be golden! —Danielle Desir. Best of luck everyone! We look forward to hearing how things have gone for you at the end of the year.